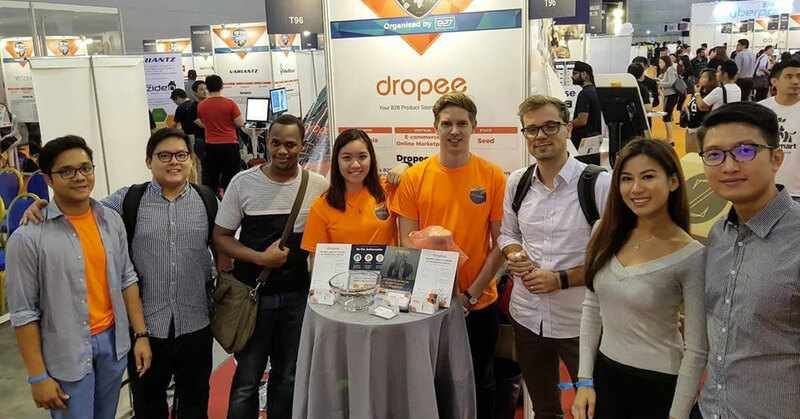 Dropee have been awarded RM1.4 million in funding from venture firm Vynn Capital. They plan to use their new funds to introduce new products and expand deeper into their target markets. This morning, Malaysian B2B e-procurement marketplace Dropee announced their success in acquiring RM1.4 million in seed funding in a round led by early stage-focused Vynn Capital. Incepted in 2016, Dropee’s one-stop marketplace aimed to disrupt the B2B supply chain by connecting product suppliers directly with SME owners, offering both sides a streamlined fulfilment process that can handle bulk purchases using a host of tech-enabled solutions. These solutions include automated ordering, digitalised documentation, easy comparison tools, and easy product tracking across supply chains, among other features. Led by co-founders Lennise Ng and Aizat Rahim, Dropee currently serves the metropolitan regions of Malaysia, with their target market focused around Kuala Lumpur, Penang, and Johor. Speaking on their plans going forward, Aizat explained that the plan for their newly acquired capital was to lead into two distinct expansion strategies—new products and new markets. Expansion plans for the rest of Southeast Asia include Indonesia, Thailand, and Vietnam in the near future, and all this is indicative of a brand ready to build upon its already impressive base of over 800 brands, over 6,000 SKUs, and over 1,000 businesses. Among Dropee’s clientele include names like Unilever, Network Foods, and Lee’s Frozen Foods. When quizzed on how they plan to successfully implement their plans for expansion, Aizat explained that aside from just expanding their presence physically, fixing mental conceptions among their customers was also key. Additionally, Aizat gave his thoughts on the link-up between Dropee and Vynn Capital, saying that it was a combination of factors that helped Dropee gain the confidence of the VC firm. “The founding team of Dropee has a strong network and deep understanding of the supply-chain industry, and the B2B market has also started to gain more exposure and education so it’s easier to onboard even more potential customers within this space,” he said. It was mentioned also that through their new partnership, Dropee would now be able to rely on a partner with an extensive network of contacts in their target space. Dropee’s previous funding came during a round with undisclosed angel investors along with a grant from Cradle Fund. Their immediate plans are to introduce a product that will target larger brands, with the goal to unify the supply chain industry. For more information on Dropee, visit their website or Facebook page. You can also find out more about Vynn Capital here.